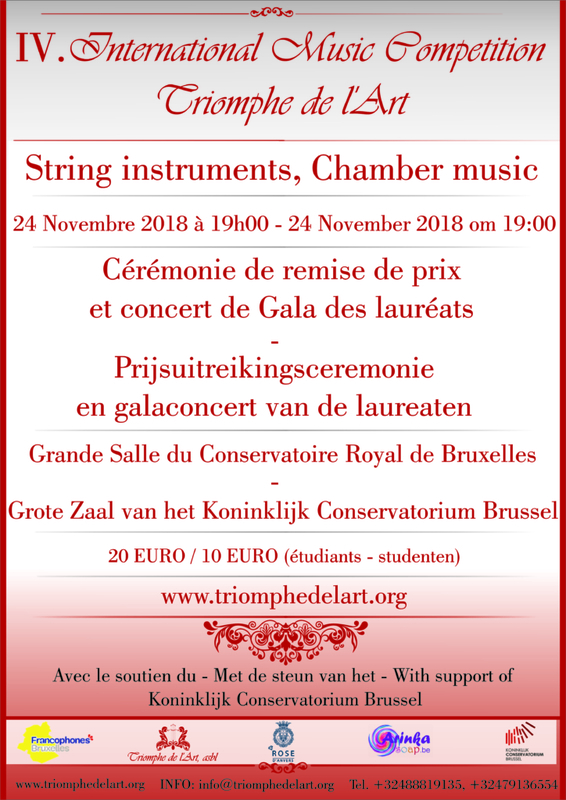 Dear public, if you want to hear winners and laureates in 2 different categories String Instruments (violin, alto, violoncello, double bass) and Chamber Music Ensembles live at the final concert of the competition, you are very welcome to the Big Hall of Royal Conservatory of Brussels. Participants from different countries will compete for a week in 2 disciplines (String Instruments and Chamber Music Ensembles) and in 2 age groups. Do not miss this unique concert in Brussels on 24th of November at 19:00! Come to hear the future stars of the world! We are looking forward to see you at the concert!